New America College has partnered with CIEE for those who are interested in teaching ESL and need their TEFL certification. Teaching English as a second language is an ever-growing field in the United States with endlessly diverse job opportunities—whether you want to tutor online, volunteer at your local community center, or teach a class in your school district. Our partnership with Community College of Denver (CCD) allows students who complete our Level 6 class to be accepted to CCD (if they meet all other requirements from CCD) without a TOEFL score. Click here for more information about how to enroll at CCD as an international student. Practical Subjects: IT, Engineering, Agriculture, and more. New America College partners with Colorado Technical University (CTU) to allow students who complete our Level 6 class to be accepted by CTU (if they meet all other requirements from CTU) without a TOEFL score. New America College students, instructors, staff, and their immediate family members also receive a 15% discount on tuition at CTU. Columbia College’s partnership with NAC allows students who complete our Level 6 class to be accepted by Columbia College without a TOEFL score. 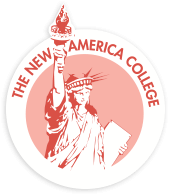 New America College enjoys a unique partnership with Platt College. Third-year nursing students from Platt College teach lessons in NAC classes on different health topics such as where to find affordable health care in the Denver area, smoking cessation, cold weather safety, and safe hiking tips. Castle Worldwide is an accomplished full-services certification and licensure testing company. We allow your stakeholders to excel in their profession through the development of competency-based testing, training, and high-stakes certification programs. With an expert team of testing and instructional design professionals, Castle understands what it takes to successfully launch and maintain a quality credentialing program. Backed by 30 years of experience in the science of psychometrics and training development, we invite you to partner with a trusted team that is dedicated to your success and will deliver a seamless experience for your program. Schedule your test today!